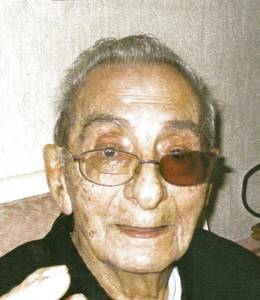 Caruana, Arthur J. age 94 of Livonia, passed away February 1, 2017. Beloved husband of the late Peggy for 66 years. Loving Father of Margie (the late Dr. Joseph) Brace, Charles (Kerry) and Thomas (Jane). Dearest Grandfather of Cory (Kim), Matthew and Jeffrey. Great grandfather of Jacob, Ethan and Charlotte. Brother of Vince (Trish), John (Lee) and the late Joseph and the late Mary Ann Hamlin. He was awarded 2 Bronze stars for valor and bravery in World War II. He retired from Detroit Diesel Corporation after 33 years of service. Visitation will be Friday 3-8 PM and Saturday from 11 AM until time of service at Neely-Turowski Funeral Home 30200 5 Mile Rd. (Between Middlebelt and Merriman), where a funeral service will be held Saturday at 12PM.